Easily add fun extras to harness your dog's energy while staying with us. From treadmill training to nature hikes, The Doggie in has it all. Your dog can enjoy one-on-one playtime, just like they would at home. Give your dog plenty of exercise with your choice of fun for $20 per Session. Give your dog some extra exercise and confidence building with our treadmill training sessions. Initial training + 2 sessions $60. Nature hikes are a wonderful form of exercise and releasing built-up energy. Your dog will be rejuvenated and rest well. Have a difficult time trimming your dog's nails? No worries, we can do that too. 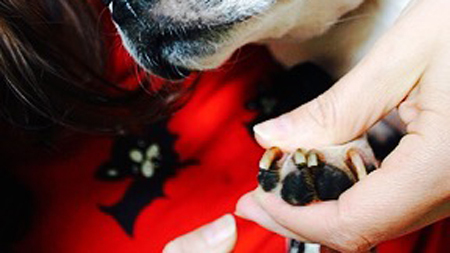 Give your dog a nail trim before going home for $22. Safely socialize your dog with playtime monitored by qualified trainers. All dogs are pre-screened. Obstacle exercise not only builds confidence but it's a great workout. Treat your dog to this fun experience for $25 per Class.